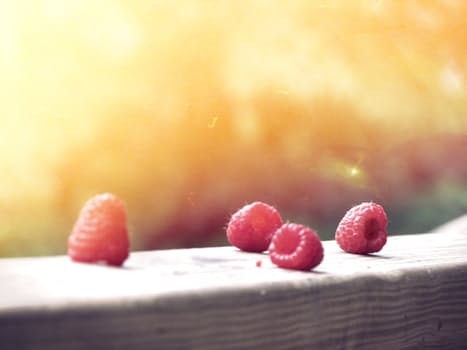 Properties of fruit – Natures SUPERFOODS not from a packet! We hear so much about superfoods and there is always a new berry or seed from a far away land packaged up ready to heal us! 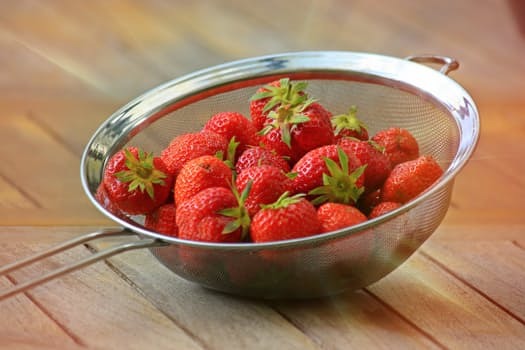 What about the common fruits you can get easily and eat every day? Each fruit holds a different set of nutrients and can help you overcome deficiencies you may have or build you in areas you need. Learning to treat your body with these powerful packed goodies instead of supplements or pills or spending money on packaged super foods is the key to longevity, be it fertility, gut health, depression or removing heavy metals. 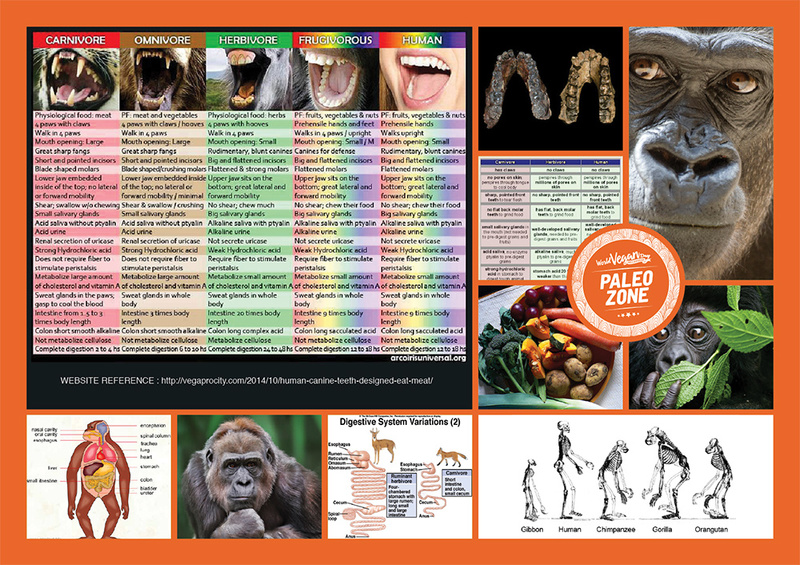 If I see a clients test results I work out how they can overcome these deficiencies by adding in more of one fruit or more of a vegetable to build the body up. Once you learn to listen to your body and what it’s asking for you no longer have the need for supplements or crazy diets. And the body stops the addictive craving rollercoaster as really you listen to what it’s asking for and you start to grab natures powerful gifts . . . not the chocolate bar or coffee. . . 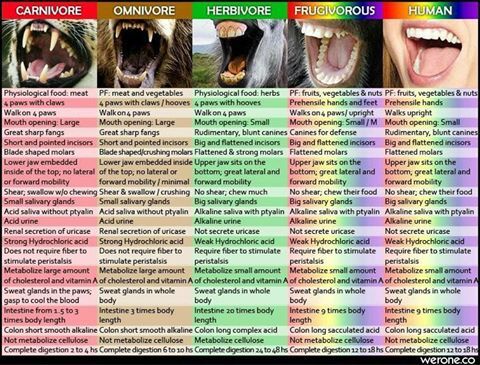 So I’ve broken it down as per the food combination chart Food combining and why is it essential for health!-chart. Good for: crohn’s, colitis, adrenal fatigue, digestion, increases fat burning, autism and diabetes, lowers risk of colorectal and kidney cancer. Anti-viral properties. Contains: potassium, B6, vitamin C, B5, B2, folate, selenium, manganese, potassium, copper, magnesium. And a B12 enhancing food. A good fruit to eat with dates and sweet potatoes 2-3 days before your menstrual cycle to give you energy. Good for: adrenal support, chronic fatigue, thyroid conditions, diabetes, SIBO, GERD, OCD, lung cancers, autism , ADHD, insomnia when eaten as the last meal, vertigo, edema, candida and anxiety. 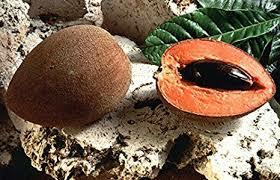 Contains: B5, B3, B2, beta carotene, copper, potassium, magnesium, manganese, phosphorus, calcium, iron, fiber. And a B12 enhancing food. I suggest eating these with greens for better absorption of the natural sugars and having some in your bag to stop cravings taking over you. Contains: B1, B5, B6, beta carotene, calcium, zinc, copper, manganese, iron, calcium. And a B12 enhancing food. Good for: heart and blood vitalisation, filtering the kidneys, keeps blood platelets from sticking together, osteoporosis, cancers (anti-cancer phytonutrients), varicose veins, inflammation, anemia and rheumatoid arthritis, detoxifying, cleansing, hay fever and allergies, has anti-viral properties, Great for brain fog so make a great afternoon snack! Contains: resveratrol, antioxidants, quercetin and other polyphenols, boron, high in iron, magnesium and boron. Good for: a laxative, energy, building muscles and good for stress and for eye sight. Contains: high in beta carotene, vitamin C, B2, B6. Taste like every tropical fruit in one! Good for: gut health and diabetes. Contains: anti bacterial properties, vitamin C and calcium. Tastes like a sweeter sweet potato! Good for: great for adrenal support. Contains: high in vitamin C, calcium, phosphorus. Tastes like a chocolate mouse! Good for: cancers, fatty liver, heart conditions, respiratory conditions and adrenal support. Contains: anti-microbial and anti-viral properties. Taste sweet and tangy with a perfumed aftertaste! Good for: digestive support, adrenal support, liver disease, ideal for SIBO, fibromyalgia, MS, migraines, eczema, acne, rosacea and skin conditions, lymes disease, cleansing, enhances fat burning, autism, ADHD, adrenal support and fatigue. 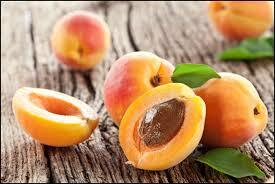 Contains: high in beta carotene for skin conditions, high in vitamin C, potassium, calcium, phosphorus, iron. Great for parasites, worms and e-coli infections and especially the seeds when eaten on a full moon. Great for: chronic fatigue and adrenal support, constipation as it’s a mild laxative, soothing the digestive system. Contains: potassium, magnesium, phosphorus and vitamin C.
Great for: an overall tonic and contain pectin, a fiber that’s good for the digestive tract, supports immunity, good for alzheimer’s, skin elasticity, weight loss and diabetes. Contains: vitamin C, copper, magnesium, potassium, iron, manganese, phosphorus, and trace minerals. Great for: diabetes, ADHD, autism, Alzheimer’s adrenal support, helps build bone density, anti-aging, suppresses appetite, enhances fat burning. Contains: phytonutrients ,vitamin C, beta carotene, folate, omega 3, 6 and 9 essential fatty acids, vitamin E, vitamin K, manganese, copper, iron, magnesium, zinc , fiber. And a B12 enhancing food. Great for: diabetes, ADHD, autism, Alzheimer’s, adrenal support, chromic fatigue, good for urinary tract and brain rejuvenation, and removing heavy metals when used with (coriander, parsley, barley grass, lettuce and coconut water in a smoothie). Contains: antioxidants & phytonutrients, zinc, omega 3 – 6 and 9 essential fatty acids, fiber, vitamin K, vitamin C, manganese, copper, iron. And a B12 enhancing food. Great for: PCOS, fat livers, cancer, autism, ear infections, acne, adrenal support, urinary tract and bladder problems, detoxifying, laxative, cleanser, reduce inflammation, heightens awareness, lowers bad cholesterol. Contains: vitamin C, magnesium, zinc, iron, silicon, omega 3, 6 and 9 essential fatty acids. Great for: the blood, metabolism increaser, and helps break down fat and protein. Contains: high in polyphenols, iron, folate, vitamin B, vitamin C, copper, phosphorus, magnesium, potassium. Must be eaten ripe. Taste somewhat like a fragrant grape! Great for: your kidneys and digestion, a blood cleanser, supports the immune system, lowers bad cholesterol, great for stress, adrenal support, fatty livers, gut health, thyroid conditions, parkinson, kidney stones, epilepsy, bushings syndrome, urinal tract infections, stomach cancers, diabetes and pre diabetes, histamine intolerances and insomnia when eaten as the last meal. Contains: beta-carotene for the skin, vitamin C, beta carotene, calcium, potassium and high in magnesium. 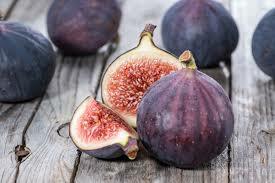 A great fruit to eat after your menstrual cycle to help support your body. Great for: as a digestive aid and cleanser. Contains: beta carotene for the skin, B3, vitamin C, vitamin E and copper. Great for: gallstones, lymes disease, chronic fatigue, fibromyalgia, moulds and candida as it helps bind to them and pull them out, gut health. Contains: amnio acids such as cysteine and glutamine, rich in beta carotene, vitamin C, vitamin E, B5, copper, high in iron, potassium, high in fiber, magnesium and a B12 enhancing food. Great for: constipation, a diuretic, a digestive aid, a cleanser and very alkalising. Contains: B3, vitamin C, vitamin E, potassium, calcium, magnesium and beta carotene. Great for: diabetes, e-coli infections, SIBO, GERD, fatty liver, OCD, migraines, stomach cancer, food poisoning. They are a diuretic, alkaline, digestive aid and cleanser. Contains: fiber, iodine, vitamin C and copper. Great for: bowel cancer and contraption as its a good laxative. Contains: high in oxalic acid, beta carotene, antioxidants, phosphorus, and potassium. Great for: lowering bad cholesterol and inhibits certain cancer growth, diabetes, autism, ADHD, stress, adrenal support, fibromyalgia and menstrual cramps. Contains: antioxidants, vitamin C , vitamin K, vitamin E, folate, B5, manganese, copper, and iron. A great food to eat during your menstrual flow. Great for: respiratory and urinary tracts, , gallbladders, yeast infections, staph infections, a diuretic, weigh loss, diabetes, ear wax and eat infections, breaks down toxins, balances hormones. Contains: vitamin C, tannic and oxalic acids. Great for: high in pectin which strengthens blood vessels and capillaries and reduces the accumulation of atherosclerotic plaque in those afflicted with this problem. Grapefruit juice eases constipation and improves digestion but can reduce appetite, helping with weight loss. 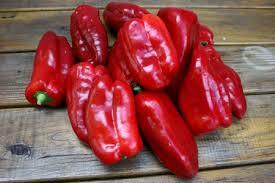 Good to eat for cancers, heart problems, strokes, constipation, the blood and nerves. Digestive aid, vascular health, removal of in organic calcium from joints so good for arthritis. Contains: Vitamin c, pantothenic acid, copper, dietary fiber, potassium, biotin and vitamin B1. Great for: arthritis, OCD, diabetes, adrenal support, SIBO. Removes excess sodium buildup, the enzymes help in correcting and soothing digestive system including acid reflux and anti-aging. 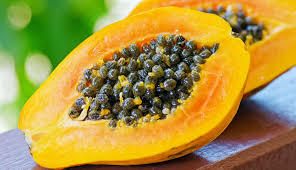 Contains: vitamin C, vitamin K, vitamin, E, folate, copper, potassium. Contains: calcium, beta carotene, vitamin C, iron, and magnesium. Great for: a potent detoxifier, kills intestinal parasites and dissolves gallstones, great for flu, kidney disease, respiratory conditions, anxiety, cancers, weight loss and rosacea, heart problems, strokes, constipation, the blood and nerves. See Limes too. Contains: calcium, phosphorus, magnesium, potassium, cleansing, an alkalising effect even though it’s an acid fruit. Great for: Limes are good to eat for cancers, heart problems, strokes, constipation, the blood and nerves. Calcium, phosphorus, magnesium, potassium, cleansing, alkalising even though it’s an acid fruit. 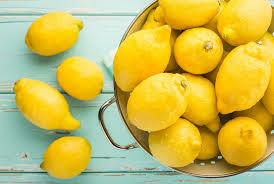 See Lemons too. Contains: bioflavonoids, citric acid and pectin. Great for: reducing inflammation, shrink tumors, and inhibit blood clots, help with gum disease, kidney stones, anxiety, depression, acne, removing heavy metals. The Herperidin in oranges can help to lower blood pressure and cholesterol, they contain bioflavonoids, citric acids and pectin. 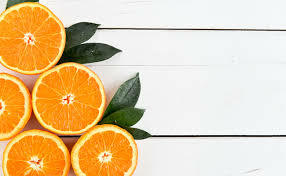 Oranges are good for cancers, heart problems, strokes, constipation, the blood and nerves and digestive support. Contains: 170 different phytonutrients and more than 60 known falconoid, calcium, vitamin C.
A great fruit to eat the week before your menstrual cycle to help prepare and clean your body. Great for: adrenal support, respiratory conditions, ADHD, PCOS, removing heavy metals when used with greens. Promotes joint health, reduces inflammation, a diuretic, a digestive aid, a cleanser of mucus, and a mild laxative. Contains: calcium, vitamin C, folic acid, magnesium, manganese and beta carotene. I suggest eating it frozen to stop your tongue burning! Great for: cleansing and building the blood, insomnia, brain fog, adrenal support, heart conditions, diabetes, urinary tract infections, protects against sunburn, PCOS, removes ear wax, fights prostate cancer and regulates hormones. Contains: vitamin C, magnesium, potassium and beta carotene. Great for: diabetes, ADHD, heart conditions, alzheimer’s, reduce bad cholesterol, suppress growth of colon, prostate and oral cancers. Contains: vitamin C, folate, manganese, copper and iron. Contains: vitamin C, beta carotene, calcium, copper, magnesium, potassium. Great for: Tomatoes are filled with antioxidants and phytonutrients, over 9,000 known phytonutrients to date. The main and most powerful antioxidant known in the tomato is lycopene. Lycopene is thought to protect the liver, lungs, prostate gland, colon and skin from sunburn among other things. Ongoing research seems to show that lycopene helps prevent macular degeneration, lower cholesterol, support the immune system and can help prevent and rid cancers. Also has a alkaline residue and reduces inflammation. Contains: vitamin C, B6, B5 ,B1, vitamin K, copper, iron, magnesium. Only eat raw do not cook tomatoes! Contains: vitamin E, protein, iron and copper, Omega 3 essential fatty acids. 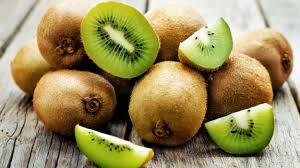 A great fruit to eat while you are ovulating and the week after ovulation. Durian – great after work out food as it’s high in potassium and sulfur which makes them a warming fruit. Contains: vitamin C, B1, B2, B3, B5, B6, folate, copper, manganese, potassium, magnesium, phosphorus, iron. Smells bad but is tasty! Great for: anti-aging, very alkalising, lubricating and cleansing. Contains: calcium, sodium, magnesium, amino acids, antioxidants, vitamin A and E. High in Omega 3 essential fatty acids. Great for: autism, gut health, adrenal support, parkinson’s, anti-aging, brain support, alzheimers’s, adrenal support, diabetes, chronic fatigue, fibromyalgia, heart conditions. provides protection against UV raises, promotes collagen and contains probiotics. Contains: 4 electrolytes, anti-microbial fats, anti-bacterial, anti-inflammatory, anti-viral properties, magnesium, potassium, iron and sodium. Add coconut water to green smoothies to help the greens like parsley and coriander to remove heavy metals and unwanted acids form the body. 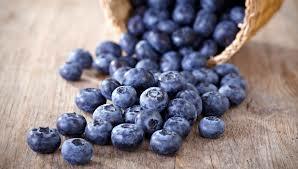 A great fruit to eat after your menstrual cycle to help support your body. These 4 fruits are very high in fat, but are of the best healthiest kind. However, you should eat these foods in moderation. If you are consuming a lot of fruit or you will end up with insulin problems. A low fat raw food diet usually works best for most people look into the 80/10/10 Diet. If you are a slow oxidizer and have weight to loose you should aim for 10% fat in your diet or less. If you are eating a 2000 calorie diet this works out to be about 22 grams of fat per day and this adds up quicker than you might think. 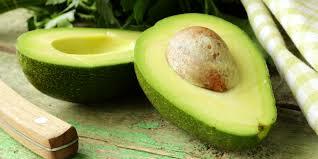 One avocado has about 25 grams of fat and one olive has 1 gram of fat. If you are a fast oxidizer you can eat a higher percentage of 20% but be careful not to consume too much high sugar fruit or stay high fat for too long. Great for: protects against sunburn, good for the heart. Contains: beta carotene, vitamin C, folate, B1, B2, B3, B5, B6, vitamin E. vitamin K, iron, manganese. Great for: skin and hair, energy, adrenals support, cushing’s syndrome, MS, infertility, the lymphatic system, chronic fatigue and a cooling effect on the organs, great for e-coli infections and yeast overgrowths, alkalising, a diuretic and a great cleanser. Contains: electrolytes, high in vitamin K (this can be converted to K2 for bone and teeth health), B5, silicon, potassium, copper. Great for: contains vitamins A and C, maganese and magnesium, and contains folate, which has been shown to reduce the incidence of neural tube defects and other birth defects. Contains: carotenoid beta-cryptoxanthin, has decreased incidence of lung cancer. A cup of winter squash contains 15% of the recommended daily allowance of folate. 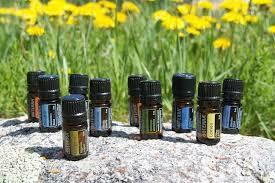 Great for: alzheimer’s, autism , epilepsy, cancer, stress, ADHD. Contains: vitamnins B1, B3, B6, C and potassium, glykoalkaloids and phytonutrients like flavonoids, caffeic acid and chlorogenic acid. The flavonoid nasunin in eggplants, has high levels of antioxidant properties and is known to be a scavenger of free radicals, thus protecting the cells of the body. Nasunin is also known for its ability to protect the fats surrounding the cell membrane of the brain. the chlorogenic acid it contains is known to be the most potent antioxidant that displays antimicrobial, antiviral and antitumor abilities and plays an important role in the prevention of many diseases. 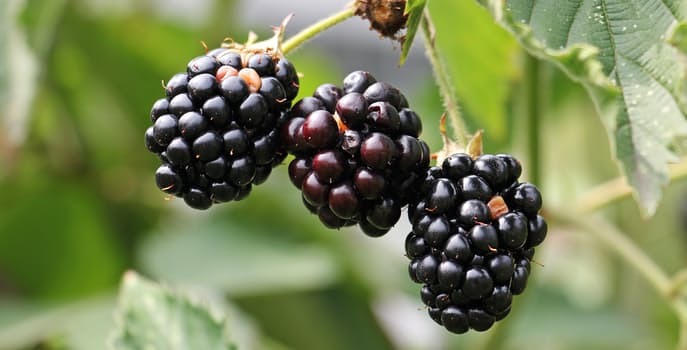 Glykoalkaloids invade cancer cells and stimulate the cell’s owns digestive enzymes the culinary definition of fruit excludes these foods, botany declares them a fruit because of their seeds. 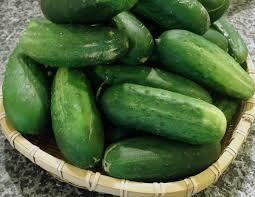 They are low in sugar and fat and are great to add to salads or just to eat alone as part of a low fat raw food diet. Best to be steamed whole and then added to salads or raw dips. Melons are one of natures miracle foods, close to our own milk in goodness as they give us all we need. They are one of the best cleansers and I recommend eating mono meals of melons too clear out your system. Melons are to be eaten alone due to there rapid digestion time so make a great breakfast. Read more here: The truth about fruit . 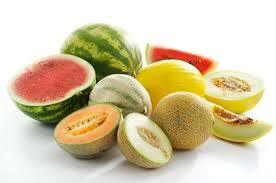 . .
Melons are the most alkalising fruits around, high in electrolytes making them a super food for us! They are easily absorbed bioavailable and bioactive so utilised by the body easily. Great for: immunity support, protects against sunburn, reduces inflammation, a cleanser and great for rehydrating, ideal for diabetes as it helps balances insulin levels and hormones. Contains: a great nutrient profile, very high in beta carotene, vitamin C, folate, B3, potassium, copper. Great for parasites. Great for: SIBO, adrenal fatigue, heavy metals, adrenal fatigue, protects against sunburn, helps reduce the risk of prostate, ovarian and cervical cancers and a great cleanser, great for rehydrating. Contains: beta carotene, vitamin C and copper. Bittermelon – the fruits and leaves of bitter melon are a good source of minerals and vitamins, such as iron, calcium, phosphorus and vitamin B. The juice from the leaves is also good to prevent and lessen cough, for fever and against ringworms. it is also used to treat sterility in women and alleviate liver problems. bitter melon has some antimicrobial activity and can help infected wounds. Nutritional contents can actually be absorbed by the body’s digestive system of the plant become some of these substances exist in unabsorbable form. It lowers blood sugar levels and addition in the treatment of type 2 diabetes mellitus, reducing the patients intake of antidiabetic drugs. 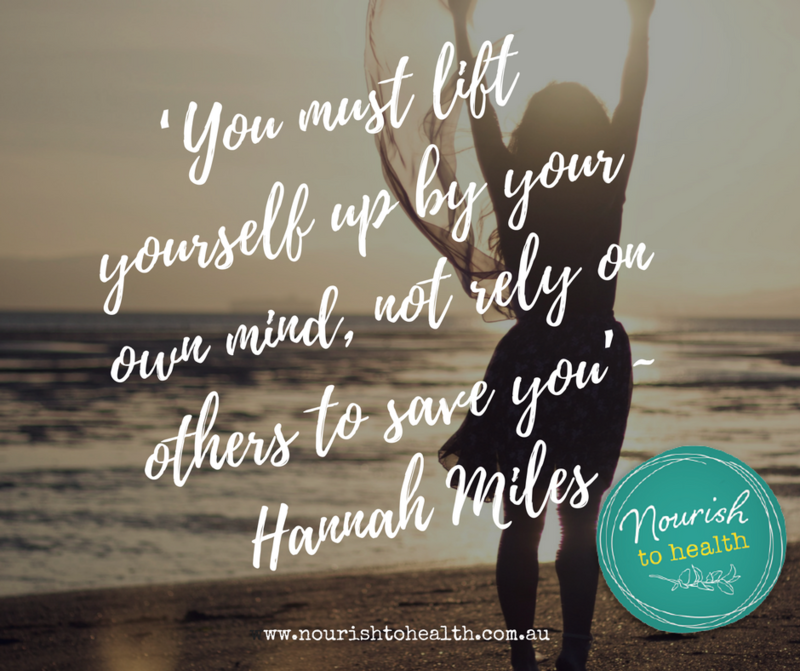 https://nourishtohealth.com.au/wp-content/uploads/2017/02/images-3.jpeg 184 275 Hannah Miles https://nourishtohealth.com.au/wp-content/uploads/2016/12/cropped-nth-watercolour-banner-logo-tagline-social-media-300x114.jpg Hannah Miles2017-02-19 14:02:492018-01-29 07:57:25Properties of fruit - Natures SUPERFOODS not from a packet! Understanding why we feel stressed and how to overcome it with spiritual practices. Aligning with your soul or aligning with your ego will determine your daily life and how stressed you are day to day. How many of us experience stress? A perception of stress is that it is because of what others do or circumstances out of your control that make you stressed, and how others makes you feel. That belief is coming from a place of the victim and is self-imposed and self inflicted keeping you holding on to past stories that may not even be the whole truth but your version of that truth. If you believe stress is because of other people’s behaviour you are not aligned with your soul and the universe . . .that means you feel stress because of others in your life. This comes from ego and fear and is a low vibration that cause disease. Believing and living from this view means you can never be free and your happiness is based on others and situations around you. Because your happiness is determined by others or the life you must lead. If you don’t think your anxiety, depression, sadness and stress impact your physical health, think again. All of these emotions trigger chemical reactions in your body, which can lead to inflammation and a weakened immune system. You must find ways to cope and move beyond it…. Don’t let your mind bully your body into believing it must carry the burden of it’s worries. Stress is however a reminder that you are not aligned with your souls purpose! As is any negative emotions. Any moment of stress is if you are in alignment with the energy of your ego mind and viewing the universe from a place of fear and without faith in the higher purpose. When do you know if you have done that? 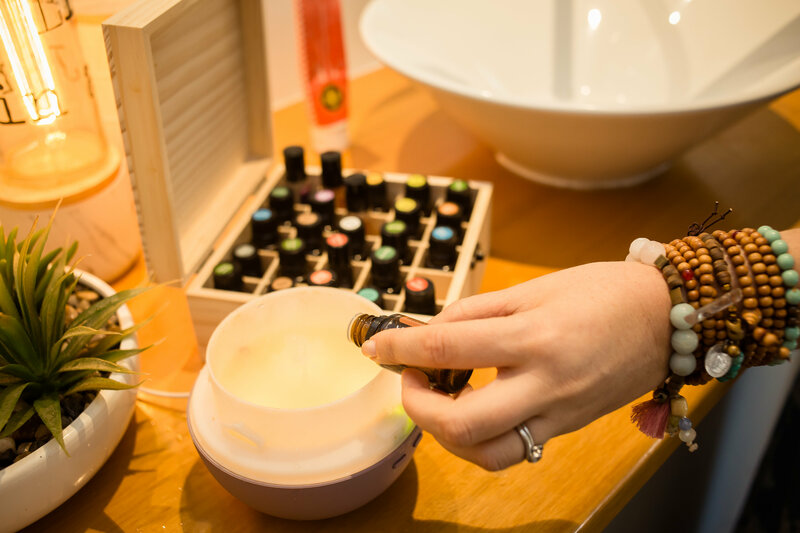 You’ll feel happiness, inner peace, contentment, no need for external influences or the need to numb your emotions with TV, food, drugs, alcohol, over exercising, mindless activities…but happy with simple pleasure found naturally and from within. If you aligned with ego life will always seem dissatisfying, without passion, holding on to grudges, not forgiving. 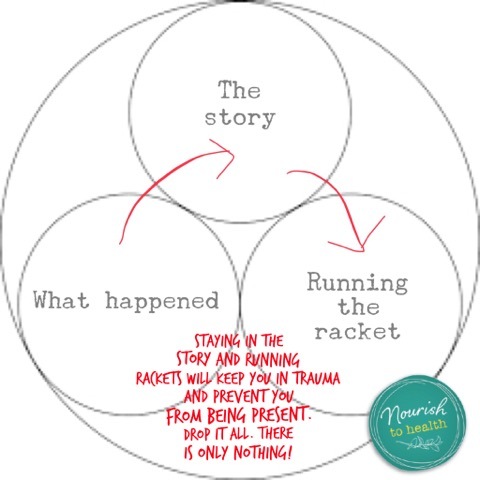 Life seems chaotic, painful, hard and out of your control, as if life is treating you unfairly . . .you will feel exhausted and sick and the outcomes in life will not fulfil you and you will always need the next thing or material objects to get some sort of pleasure. i.e. external temporary happiness. So when you learn to align with your souls purpose, you will have a life of abundance, prosperity, health and a change of circumstances. And you will see the flow and ease of how life can be. So how do you overcome stress and be in stressful environments and around stressful people without connecting to that energy? 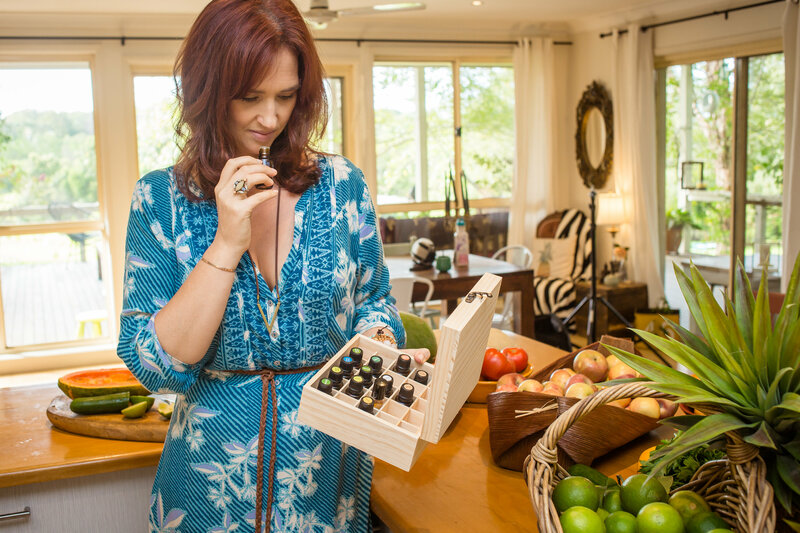 I would be honoured to help you through a stressful time and teach you the tools that have given me the strongest mindset I’ve ever had and the dream life I’ve always wanted. Remember you are not alone and it is never as bad as you can tell yourself it is…that’s just a story! 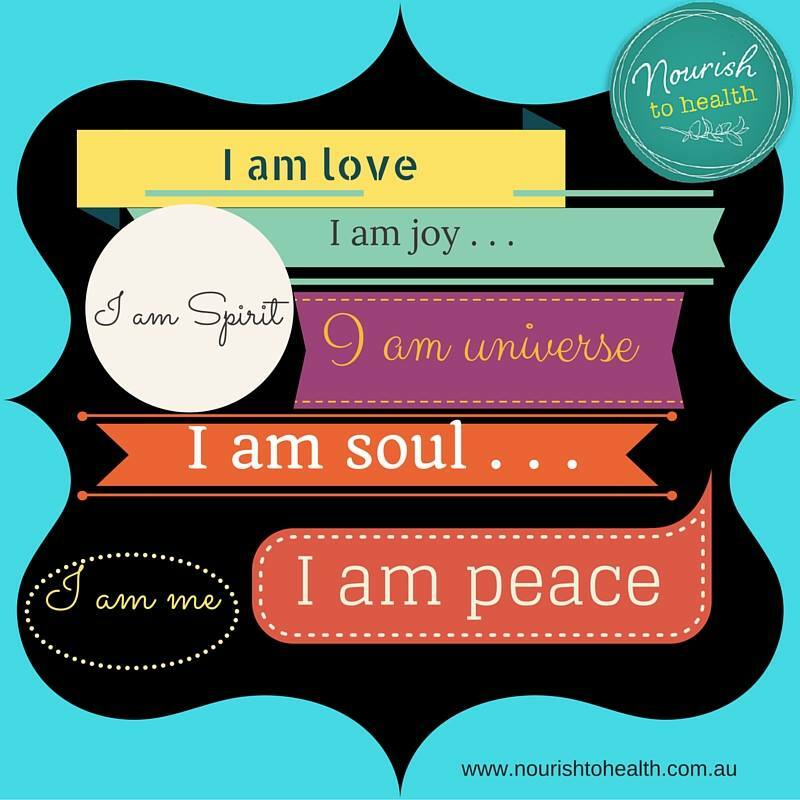 https://nourishtohealth.com.au/wp-content/uploads/2016/08/images-3.jpeg 184 274 Hannah Miles https://nourishtohealth.com.au/wp-content/uploads/2016/12/cropped-nth-watercolour-banner-logo-tagline-social-media-300x114.jpg Hannah Miles2017-02-05 21:38:282018-01-29 08:01:05Understanding why we feel stressed and how to overcome it with spiritual practices. What’s the nutritional difference between cooked and raw foods? 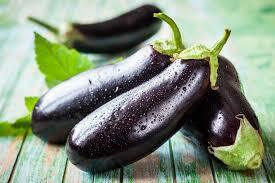 When you cook vegetables, you change their chemical composition making them unable to be utilised by the body. Depending on the method and time, cooking reduces the amount of antioxidants in the plants. This is especially true for water-soluble and heat-sensitive nutrients, such as vitamin C, glucosinolate and polyphenols. Cooking can reduce a nutrient’s ease of absorption into the body, making them useless for the body and it becomes a mucus forming food making it toxic for the body and thus causing inflammation. We are all energy so eating foods high in energy, vitality and life force will help us have that energy and vitality ourselves. 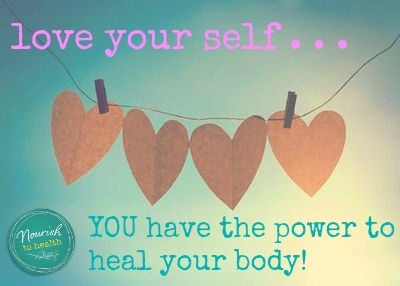 When you eat raw living alkalising foods you feel alive! The food moves through your body faster feeding your cells with high nutrients and a high water content hydrating you from the inside, better than plan water alone in some foods like cucumber, lettuce and watermelon. When you eat heavy, acidic, fatty cooked foods you want to sleep as your system is so overburdened and toxic it removes the energy and oxygen from the brain and muscles. And has to work hard to digest the heavy fatty foods sitting in the intestines, fermenting and dehydrating the body and causing an acidic state which leads to disease and cancer. If your new to a plant based diet, even though you lose some nutrients value when cooking vegetables, I would still suggest building your vegetable intake up first moving to a 100% plant based diet and removing all animal products, with lightly steamed vegetables and greens. Then when you can and feel ready swapping cooked vegetables for as many raw vegetables as possible to help build your enzymes up in your gut and help PH balance your body, allowing for detoxification of the blood and lymphatic system – remembering fruit and raw vegetables and lots of greens are the only way to detox your body and remove heavy metals and mucus thus healing your body from disease and sickness. Cooked foods are mucus forming and lacking in enough nutrients to build your body to health. We are all so deficient these days with the quality of our soils, food, water and air . . . so to remove nutrients from our food by cooking it is not helpful. Also cooked foods are feeding the parasites and fungus our body are becoming imbalanced with because of it being to acidic. When the body is acidic and deficient in minerals and enzymes, diseases start and cells mutate into cancer. We want to make the body alkaline and thriving! 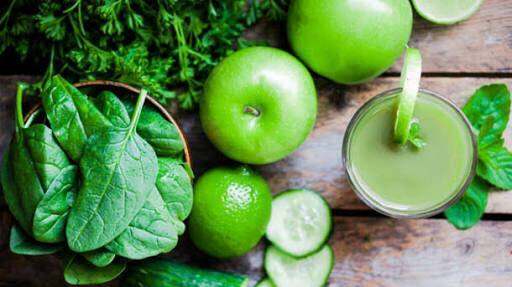 Knowing how detoxifying raw living foods are, start slowly when adding them in. Swapping 1 meal a day to a completely raw meal combined correctly, and build up. Or eating raw foods till dinner then a lightly steamed dinner. . . until you have regained enzymes to break the food down and the detox symptoms are manageable (this way of eating will not give you full healing properties as the cooked foods will stop you detoxifying fully). Or like me go 100% raw over night ride out the few days of detox and feel amazing and vibrant faster! 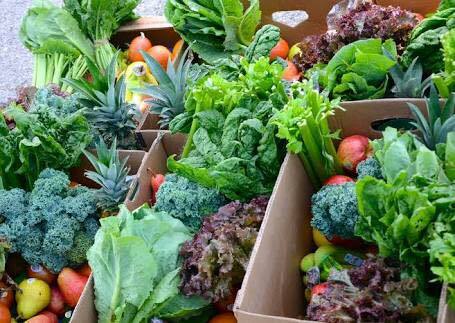 Either way increasing your raw greens, fruit and sweet young vegetables will benefit your body so much. You will see it in your skin, energy and vitality. If you can eat a food without doing anything to it bar peeling it then it’s a good raw food for the body. If you have to season it or cook it to make it palatable then it’s not our food. Why Leafy Greens are so good for you and the Nutritional breakdown. Contact me directly if you would like my assistant in transitioning to a natural living lifestyle and transitioning to raw foods to overcome your health struggles and take back your health! https://nourishtohealth.com.au/wp-content/uploads/2017/02/16472991_1937384013214817_4500521920311188961_n-1.jpg 287 512 Hannah Miles https://nourishtohealth.com.au/wp-content/uploads/2016/12/cropped-nth-watercolour-banner-logo-tagline-social-media-300x114.jpg Hannah Miles2017-02-05 12:31:562018-01-29 08:02:07WHY RAW LIVING FOODS! For Healing Diseases and Autism. . .